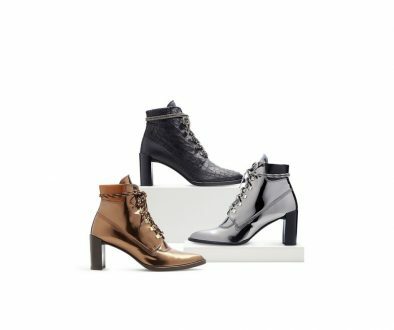 I’ve just discovered another favorite shoe line – someone pick me up off the floor! Another fellow Southern gal/shoe lover (she even holds “shoe parties!”), Ann Roth has built a beautiful shoe empire right out of Atlanta. Her shoes are both romantic and unique, reminding us of why we fell in love with heels to begin with – swoon. 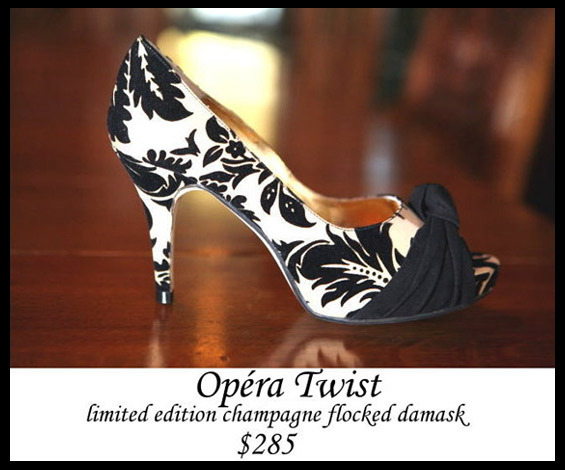 My absolute favorite is this Opera Twist with a lovely damask pattern. Like beautiful wallpaper for your feet! 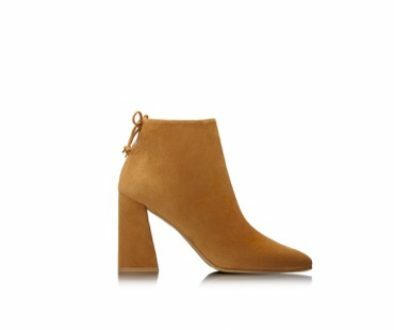 And, of course, what would the winter season be without the perfect pair of chocolate brown booties? 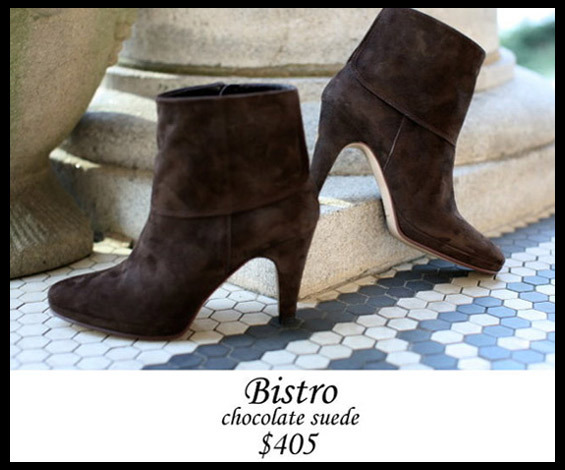 The suede Bistro is on my top 10 must-haves, for sure. Pair with “jeggings” (that’s denim leggings, girlies), and really show them off to the world! P.S. For where to find Ann Roth Shoes near you, click here. Share the post "So Pretty: Ann Roth Shoes"
Very nice! And now I'm really wanting jeggings.